Fits Inline skate models such as Luigino, Bont, Powerslide, Simmons, Pinnacle, Cado Motus and others. 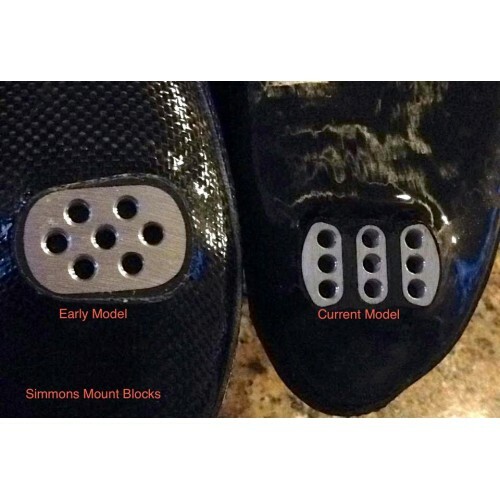 The image of the two style mount blocks is from Simmons Racing Boots. The block on the left is their early model which uses a 1/4 x 28 x 1/2 mounting bolt. The block on the right is the current block and uses an M6 x 1 x 14 mounting bolt. CAUTION: Caution should be used when tightening your bolts. 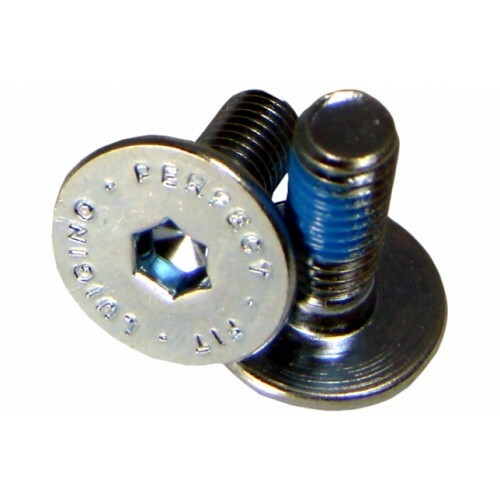 Manufacturers have been known to change bolt sizes.